Exposing this war crime is the reason why Julian Assange and @xychelsea are in prison today. Auslieferung von Julian #Assange an die USA verhindern! Julian #Assange wurde ganz offiziell auch im Auftrag der US-Behörden verhaftet und das Auslieferungsbegehren läuft... die Uhr tickt! BuReg muss sich gegen Auslieferung an #USA einsetzen! Schutz für #whistleblower und #Journalisten vor politischer Verfolgung in #EU verteidigen! London's Latino community rallied today in solidarity with Venezuela and President @NicolasMaduro. Massive rallies are being held rejecting the US-backed coup and all foreign intervention. #China's Foreign Minister, Wang Yi, stressed that his country favors the rules of international law, respect for the sovereignty of #Venezuela and negotiations without foreign interference to peacefully resolve the situation of the South American country. 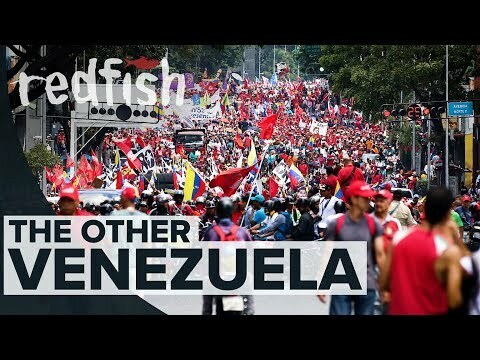 Almost every day Venezuelans took to the streets in defence of the revolution, for peace and in support of their government against foreign meddling during a month of destabilisation by the U.S. and allies. Okinawa referendum has said "No". Stop the U.S. Base in Henoko.